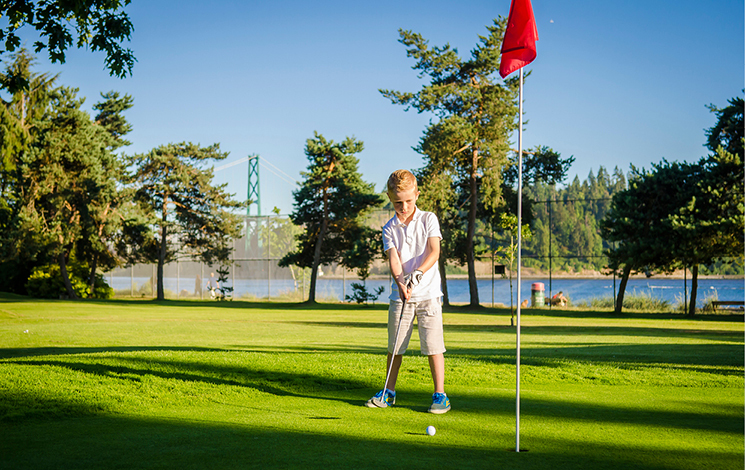 This scenic family-friendly 18-hole pitch-and-putt boasts waterfront views and is conveniently located in Ambleside Park, in the heart of Ambleside. Ambleside Par 3 is located inside of Ambleside Park at the end of Par 3 Road. Plenty of free parking at Ambleside Park! Add another person to your private lesson for an additional $20 per hour. Contact us by email to book.